Pleasanton, Calif. — Jan. 16, 2019 – NextHome, the progressive real estate franchise with consumer-focused branding, technology and marketing, reveals its newest partnership with Splash Wines, a three-generation family-owned wine club company that offers elite wine memberships at best industry value. The partnership stems from NextHome’s effort to expand high-quality resources made available to agents, and the buyers and sellers who work closely with them. 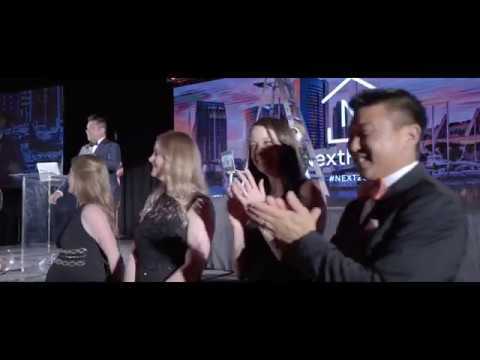 As a forward-thinking franchise in the real estate industry, NextHome promises to pursue opportunities and explore new ventures that enable its members with proper tools needed for ultimate agent success. Moreover, as a consumer-centric brand, NextHome ensures buyers and sellers alike are able to benefit from its services. As a partner of NextHome, Splash Wines will offer agents the Real Splash Partnership (RSP), a service package that includes a free membership, along with top-tier wine at 50 percent below retail price and free shipping to any location desired – from a customer’s address to a NextHome office. Splash Wines will also offer personalized NextHome branded stickers on every bottle, options for every price-point bottle, from French Champagne to affordable reds, exclusive cases with access to all of Splash Wine’s every day low prices – all with superior customer service at top-of-mind. The partnership is geared toward real estate professionals, allowing them to strengthen and continue relationships with new and existing buyers and sellers. With consumers at the core of the franchise, Splash Wines is another component to NextHome that reinforces how the brand connects and resonates with clients.